Here at Little Rays, we passionately believe in working with the best teachers who absolutely love what they do! We’ve been very blessed with our team in that they all love working and spending as much time with children as possible. All of our staff have significant experience of working with children and undertake professional development training to make sure they’re all up to scratch on the latest teaching methods, and all our staff members are DBS checked. When your child starts at our pre-school, they will get to know all of our teachers throughout the day, and through interacting in their daily activities. Last year, on our first assessment by Ofstead we were awarded a fantastic “Good” rating! We are very proud of this achievement and are now excited to improve upon our services. As such on average we have a child to teacher ratio of 1 teacher for every 8 children which ensures each child receives plenty of attention and support throughout the day. Therefore without further ado, Meet our Fabulous Team! 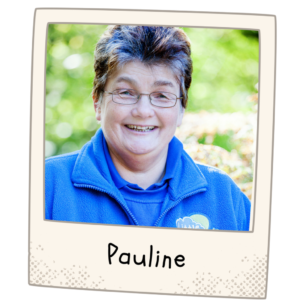 Pauline Cheeseman: Owner of Little Rays and our fearless leader! I’m a proud Mother of three, Grandmother to seven, Owner of five dogs and over ten other species of animal. (Serious animal lover). I started my working life as a stable girl working in racing stables, which catered to my love of animals. After I married my lovely husband Ray, and my children started school, I joined the Surrey Ambulance Service where I learned a great deal about first aid and in handling emergencies. It was very intense and so when I left after 13 years, I started at the Christopher’s Children Hospice working with so many wonderful children and their families. This is where I learned my love for looking after young children and helping them get in touch with the outside world. After seven years, I moved on to work in the community for the Surrey County Council offering respite for parents with autistic teenagers. 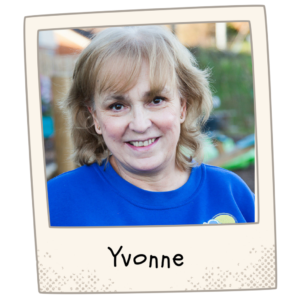 Through my working life, I always had a passion for young children and always thought I could offer more. 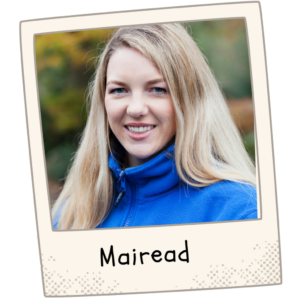 So in 2013, my daughter Mairead and I started Little Rays where children can get to learn and play in nature, nurturing an early love and respect for the earth and everything around them. I have a variety of hobbies which are mostly animal based. I help foster and rescue Great Danes, and I attend scent classes and agility with all my dogs (Great Danes and Miniature Dachshunds). I also sponsor ex race horses and donkeys. I sometimes bring my Miniature Dachshunds to preschool and the kids love playing with them. They also love getting attention from the kids! 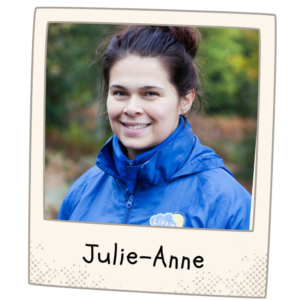 Hi, my name is Julie Anne. 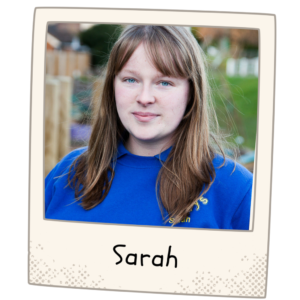 I am a NVQ level 2 play-worker, and a Mummy to a little girl called Ruby who is 6 years old and is the light of my life. 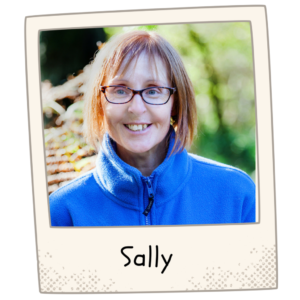 I am a chilled out, friendly and very caring person who loves looking out for little ones, guiding them and helping them to learn through nature. I especially enjoy doing the arty crafty stuff with the kids and delivering this outside. They even call me the arts and crafts co-ordinator! I love working in this outdoor pre-school and showing the kids fun in the outside world. I think its very important and a great ay of learning for them. I have worked with children for nearly 7 years and I’m proud to have reached a level 3 childcare qualification! YES! I had a break in between when I had my two beautiful children, Mia and Leo, but now I’m happy to be back doing what I love best – looking after little ones. I’ve only been at Little Rays for a few months, but I really enjoy the different way of working with children to what I’ve previously been used to. An approach to outdoor play is so beneficial and I fully enjoy watching the kids play in the woods. I like it so much that Leo, my youngest comes with me one day a week and absolutely loves it! He’s made some lovely friends that I hope will continue on when he starts school. I’ve worked with children for 16 years and absolutely love it! I have an NVQ level 3 in childcare, and have been qualified for 14 years. I have two beautiful house cats Foxy and Jim who sometimes get a bit upset when I come home and they smell Holly the dog on me. In my spare time I like going to conventions. 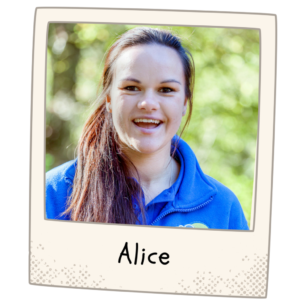 I am an animal loving vegetarian who loves the outdoors and teaching children about the natural world. 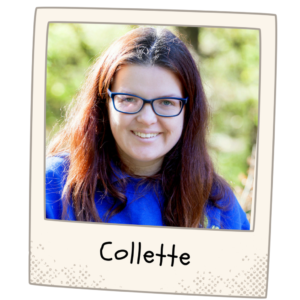 Hi everyone my name is Collette. I am a proud Mum to 3 amazing children and 4 cute fur babies. I’ve been married for nearly 10 years and I am a level 3 forest school leader. It is my drive and passion to see children playing outside and being at one with nature. I’ve achieved my level 2 childcare qualification and I’m currently working toward my level 3. I’ve worked in nurseries since I was 17 and took a break when I had my children and now they are all at school, i’m back doing what I love what (i hope) i’m good at. I love animals, reading classical books, watching classical movies and musicals, my faves being “Gone with the Wind”, “Breakfast at Tiffany’s”, and “Calamity Jane”. My favourite singers are David Bowie, and Bob Marley. Im very spiritual and love nothing more than to light some incense and candles and meditate. I try to bring my ‘zen’ calm into my everyday life, and use it in my teaching methods and in handling our young ones. “When the going gets tough, the tough breathe deep!”. I have two grown children grown up children Thomas, and Amy who are the lights of my life. Apart from my children, my other great love is animals. I’m always out trying to help rescue an animal whether domestic or wild, and I think think my love for all things natural comes across in my teaching style. When I relax, I love to go out with my friends, chill on the sofa with my two cats, go to a football game or do some dog walking. I absolutely love working with children because they sure keep you young! I’ve lived in Godalming for two years with my husband and our two children. 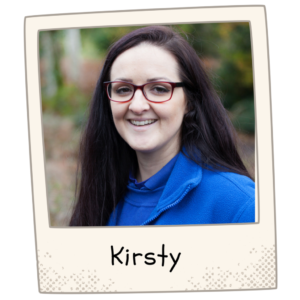 I am a qualified swimming teacher, and with training through Little Rays, I am also working towards a childcare and forest school qualifications. The best part about working at Little Rays is that it reflects my love of the outdoors and gives us the opportunity to teach the children all that Mother Nature has to offer us. I love working along side a great team and enjoy the outdoor activities that our daily routine.